A mother is sharing her story of how she and her husband rejected abortion for their son, born with half a heart, and is now motivated more than ever to fight for the lives of children considered “imperfect” by society. Lisa Smiley became pregnant at age 23, and during her 20-week ultrasound, it was discovered that her baby boy had Hypoplastic Left Heart Syndrome. She and her husband were encouraged to abort. 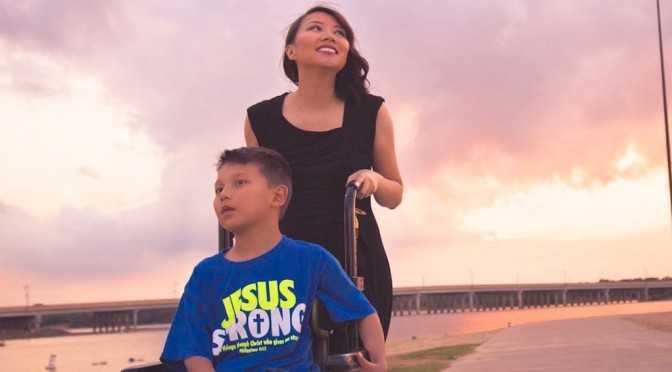 “We had already told them we are against abortion, no matter how serious our son’s condition was, yet they were not satisfied and thought we were being idealistic,” Smiley wrote for Live Action News. While doctors told Smiley’s husband privately that the couple would not want to “burden” themselves with the “pain and suffering” of a child would eventually die, the Smileys held their ground. “[N]ow our convictions would be tested in real life,” she recalled. When Ezekiel “Zeke” was born, he was rushed to the neonatal intensive care unit and place on life support. He had heart surgery at a week old and spent most of his first year of life on oxygen. Zeke also struggled with acid reflux and had a malrotated bowel. He underwent additional heart operations at one and five years of age. Last year, Zeke went into sudden cardiac arrest, and the Smileys again found themselves fighting for his life. Instead of placing him in an institution to die, the couple took their son home and once again witnessed him overcome the odds. She said that her own son’s story has motivated her to be even more of an outspoken advocate for life—especially those that are often considered the weak and unwanted in society.